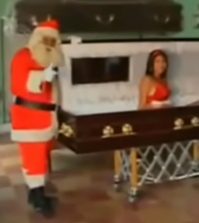 Find the perfect oddities to finish up your holiday shopping with the official Cult of Weird 2014 holiday gift guide, full of weird stocking stuffers, quirky novelties and macabre confectioneries. 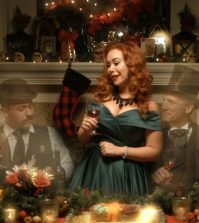 Whether you are looking to fill a cabinet of curiosities, or feed the insatiable human appetite for the unknown, there is sure to be something on this list to make someone happy (or nauseous) this Christmas season. Annabel de Vetten of the UK-based Conjurer’s Kitchen makes anatomically correct, life-size skulls and other macabre confectioneries out of cake and chocolate. Do you need a chocolate death cast of Vincent Price? 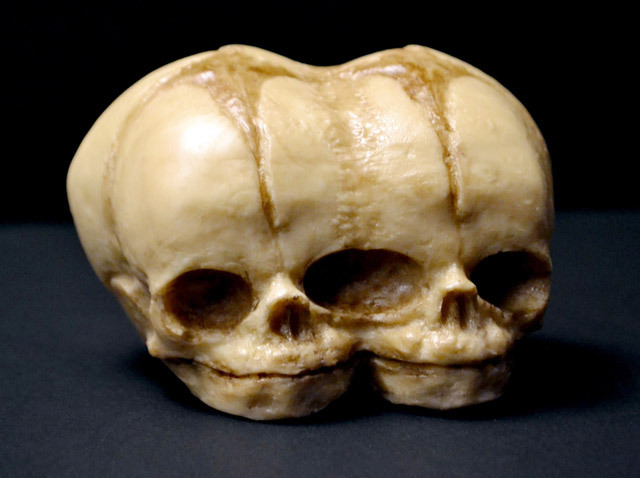 Looking for the perfect edible conjoined twin fetus skull? 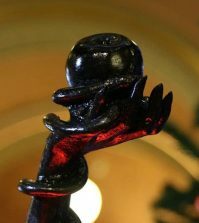 Maybe it’s a chocolate replica of artist Jessica Joslin’s ornate “Morrigan” crow skull sculpture that is perfect for the weirdo in your life. This 25″x19″ hand-drawn, limited edition print of bizarre creature sightings across the US brings together the Jersey Devil, Bigfoot, Mothman, Chupacabra, Shunka Warakin, Caddy, the Honey Island Swamp Monster and more. 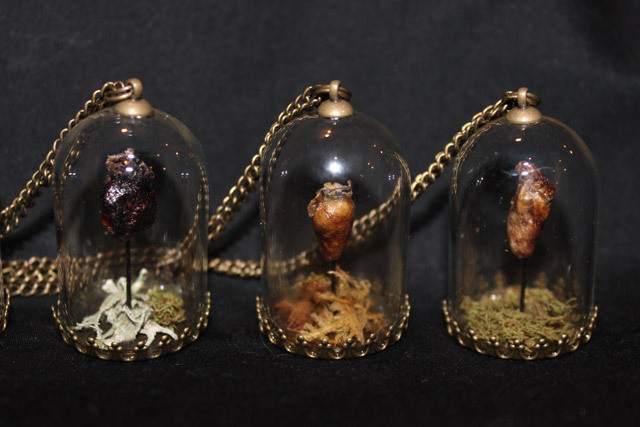 Katie Innamorato of Afterlife Anatomy professionally preserves and mounts these mummified hearts in glass dome pendants. The perfect cephalopod for your living room. 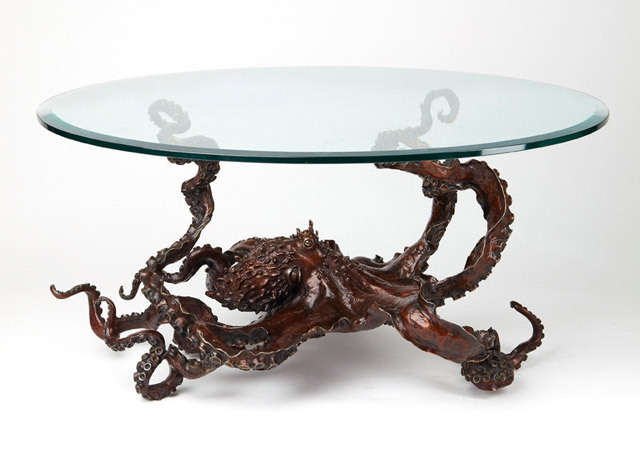 Limited edition bronze octopus coffee table created by sculptor Kirk McGuire. 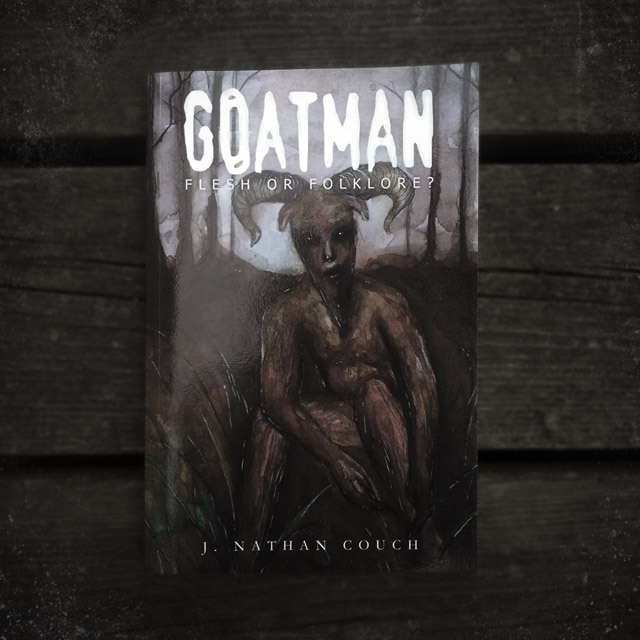 Author and paranormal investigator J. Nathan Couch goes in search of the legendary Goatman in his new book Goatman: Flesh or Folklore? 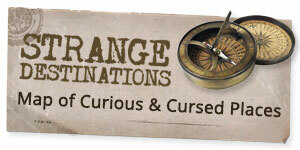 The official Cult of Weird shop is offering exclusive signed copies of this fascinating read. 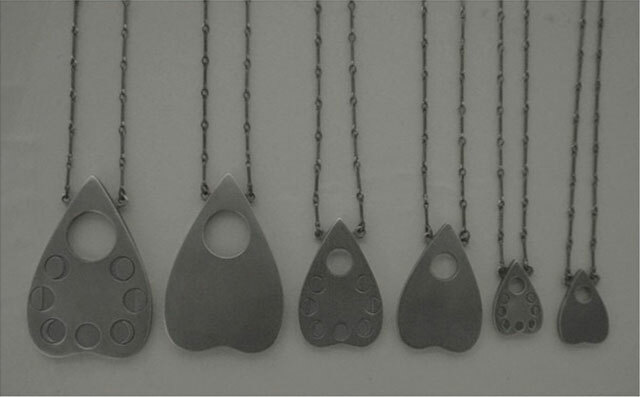 Silentcheesecake Designs creates jewelry and other wearables inspired by science, nature and Victorian cabinets of curiosities. 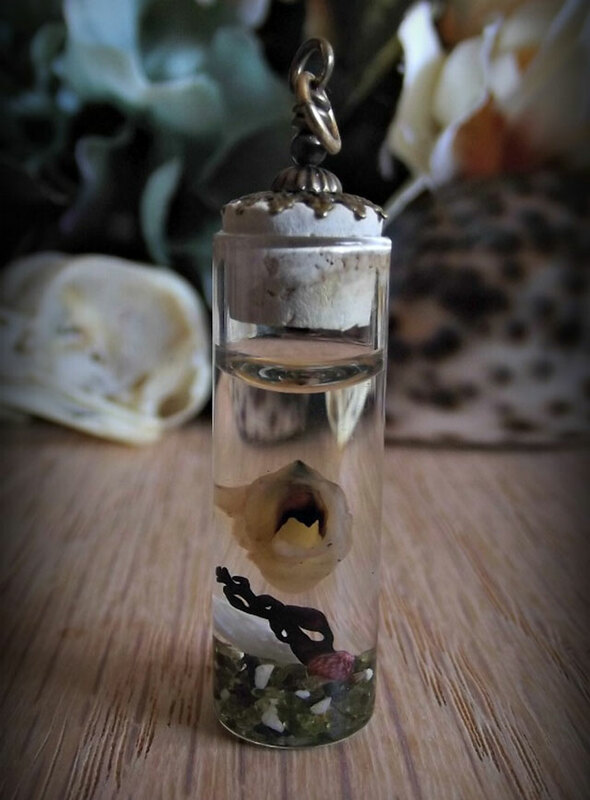 The results are amazing wet specimens preserved in clear wax, such as this squid beak in a vial. Caitlin Doughty of Ask a Mortician is responsible for this year’s Tickle-Me-Elmo for weirdos, I mean…those of us with darker sensibilities. 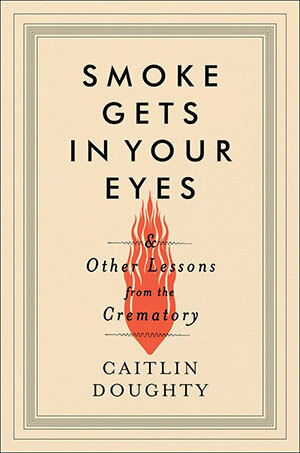 Get a glimpse into the secretive culture of the mortuary business with Smoke Gets in Your Eyes. Looking for more books? 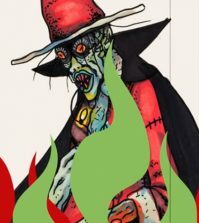 Check out Macabre Books and the Fall Reading List. 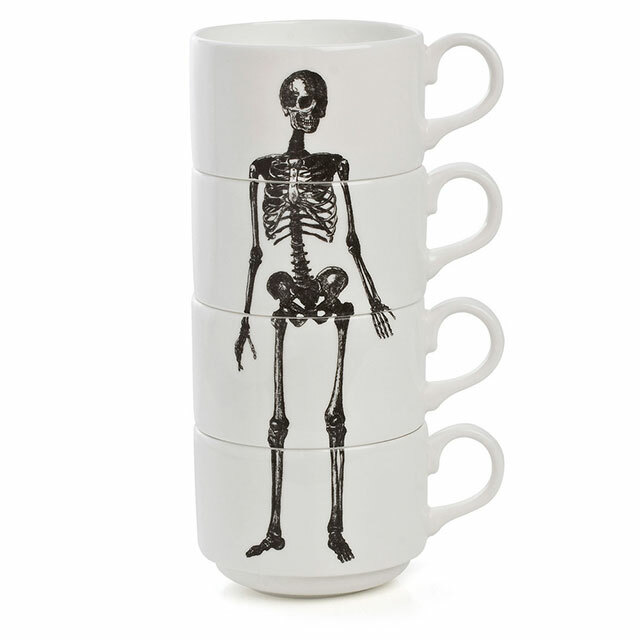 Set of 4 coffee mugs silk screen-printed with a skeleton illustration by Phoebe Richardson. 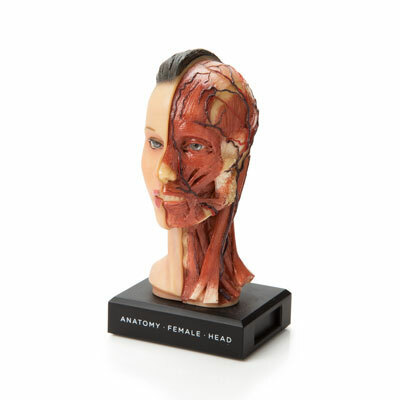 This hand-painted 1:3 scale medically accurate anatomical model from The Evolution Store demonstrates the basic muscular and venous anatomy of the head, face and neck. Who hasn’t stopped to scrape up something dead on the side of the road every now and then? For taxidermists, roadkill often ends up in the freezer at home. 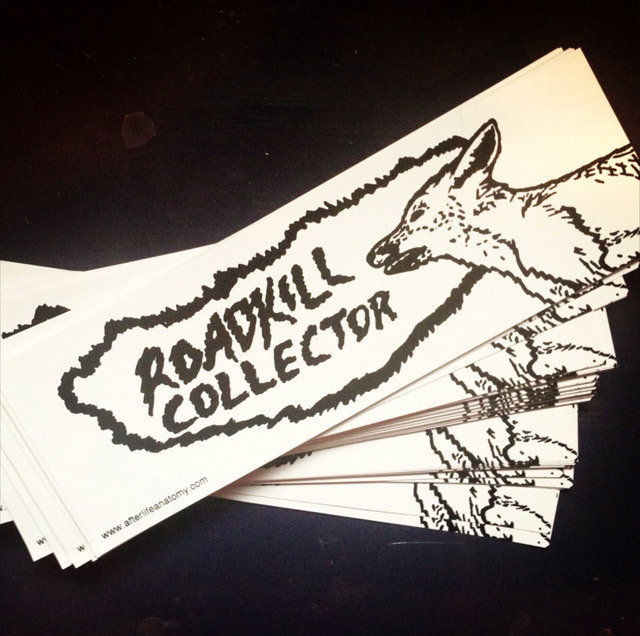 Get your own roadkill collector bumper sticker from Afterlife Anatomy. What were those terrifying sea monsters on maps, and why were they there? 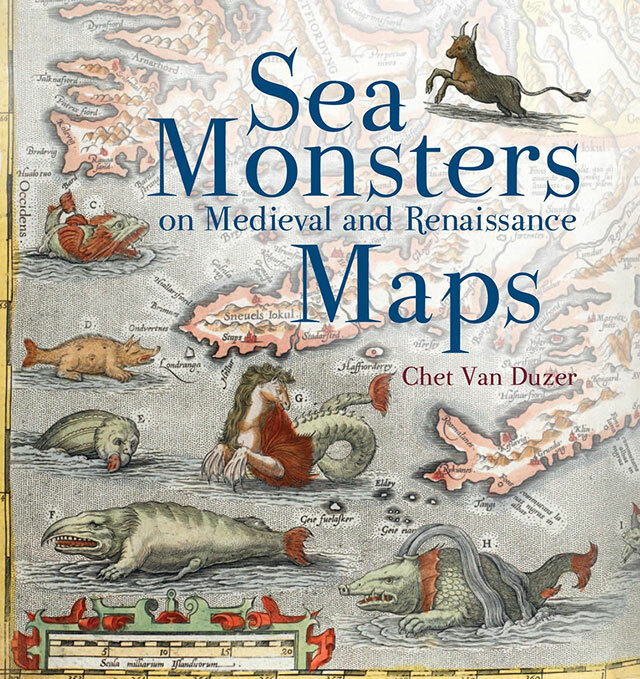 This beautifully designed atlas by Chet Van Duzer explores the legends of sea monsters and the art of map-making in the medieval and renaissance times. 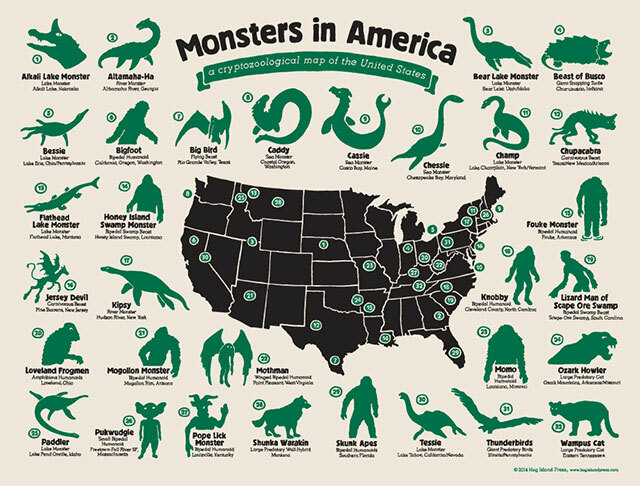 Perfect for the historical, cryptozoological cartography enthusiast in your life. 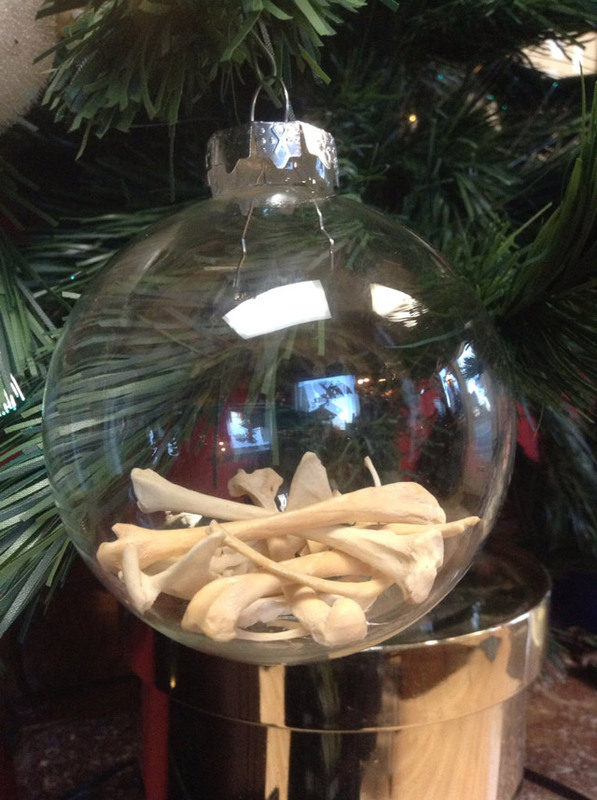 No Christmas tree is complete without an ornament from Pandora’s Box! 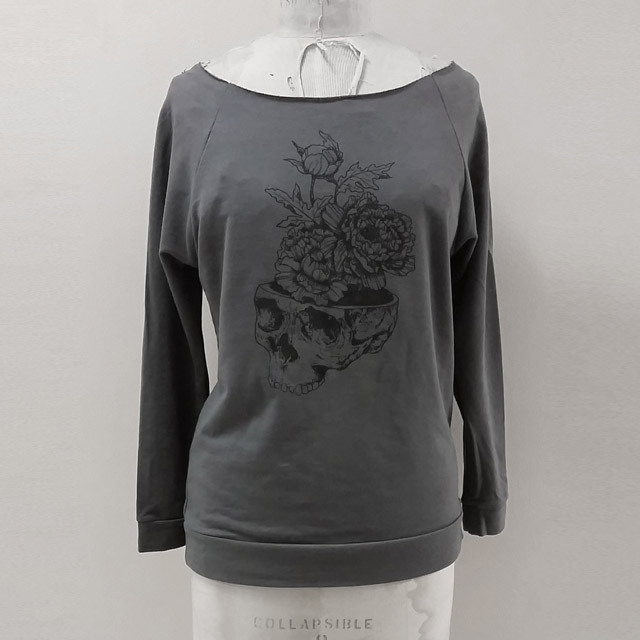 Human skull flower pot sweater from Medea Karloff. 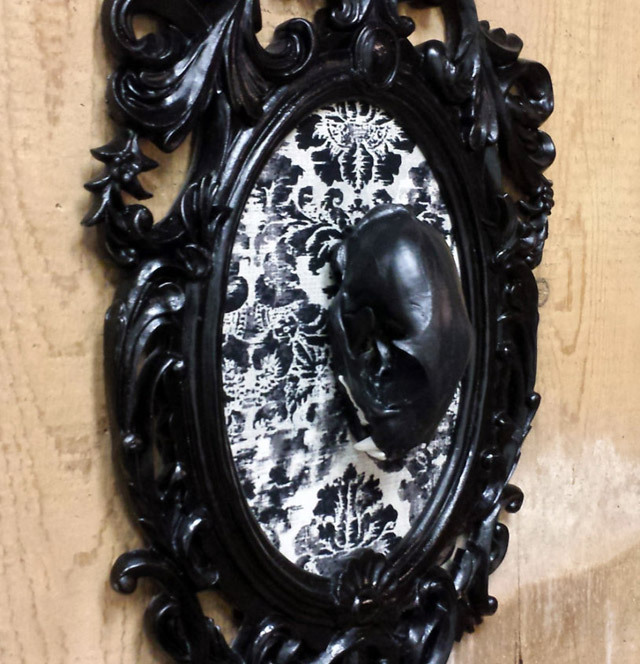 This gothic bobcat skull on a Victorian style frame was hand-crafted by Cult of Weird’s resident mad taxidermist Rob Reysen. 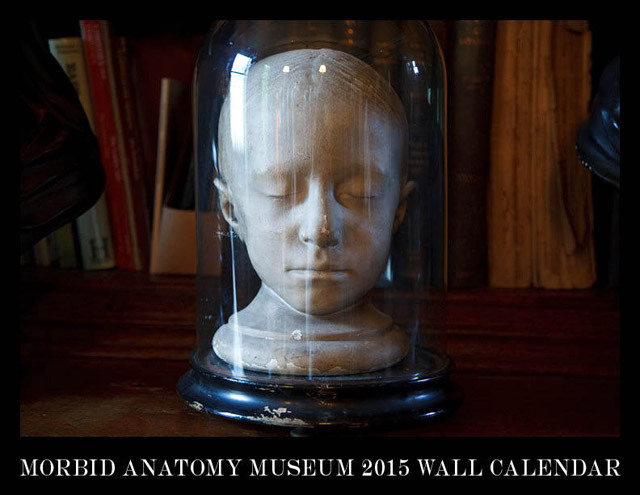 With images drawn from the archives of founder Joanna Ebenstein, the Morbid Anatomy calendar will bring the macabre month after month. 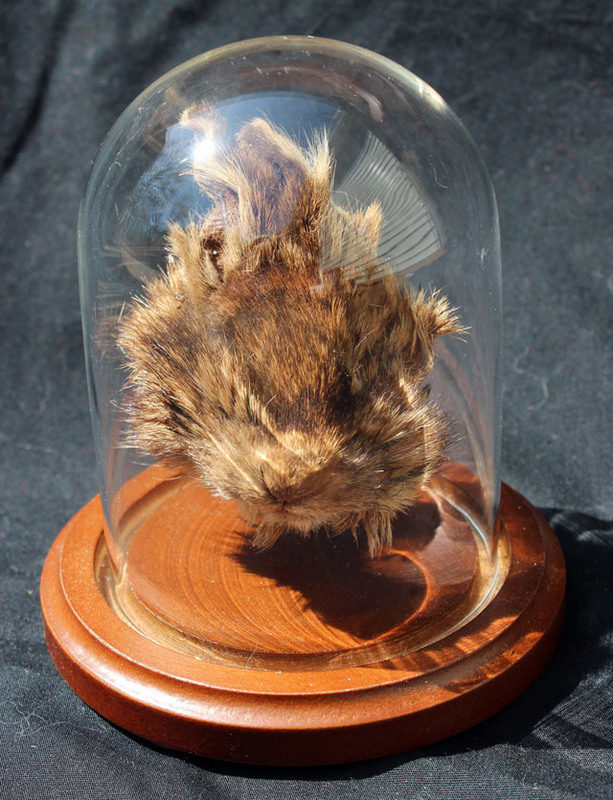 Katie Innamorato has developed her own process of creating shrunken heads, which she uses to create these fuzzy and unique shrunken specimens. The rabbit is available here, but there is also a squirrel and opossum. 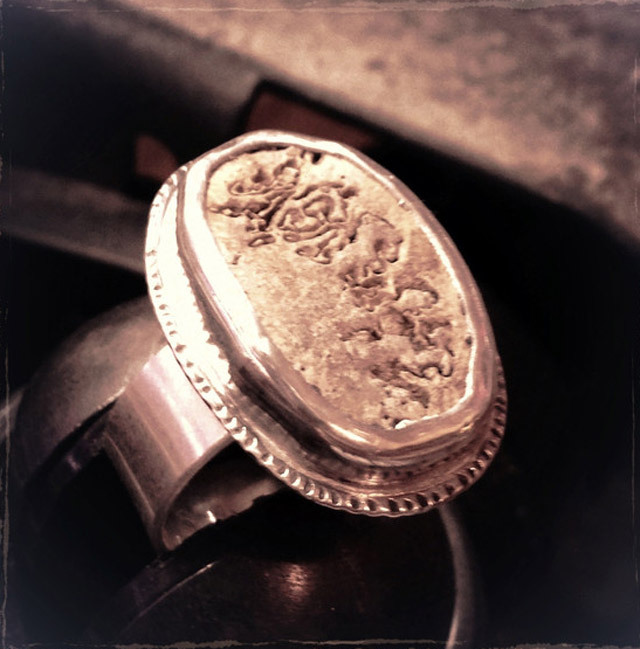 This amazing sterling silver ring with a real piece of human skull is available from Death Isn’t the End right here. Maybe a human skull fragment set in 19th century coffin nails is more your style.